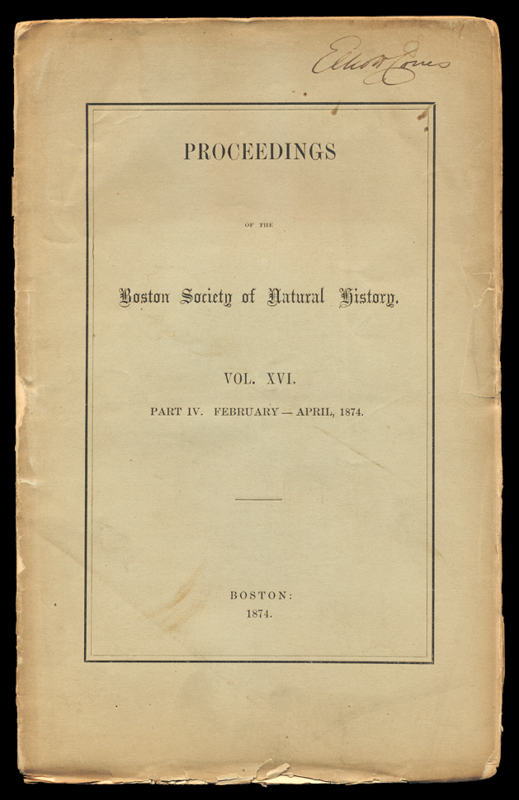 One of four issues of the Proceedings of the Boston Society of Natural History belonging to Elliott Coues, with his signature on the front wrapper. A medical doctor in the U.S. Army who traveled extensively in the American West, Coues was one of the great ornithological systematists, comparative anatomists, and natural history bibliographers of the nineteenth century. Author of the influential Key to North American Birds (1872), Coues was also a founder of the American Ornithologists’ Union and an early editor of the AOU’s journal, the Auk .